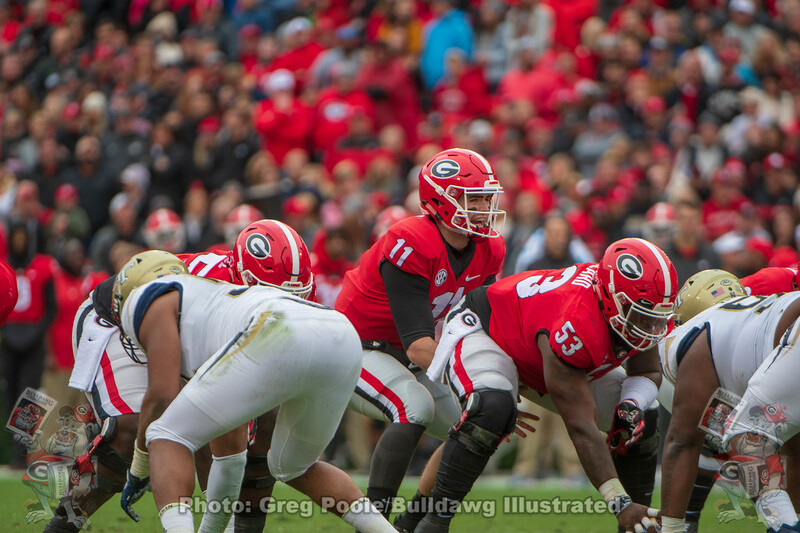 Han Vance on Georgia football: The Sugar is falling from the sky. The sky was falling. It was hard to stomach a near-replay of pain, almost a year later. The stories felt so eerily similar, except the school was not losing its best players, especially the monumental historic talents: Roquan/Chubb/Sony. The season didn’t end with great friends crying in an end zone together. That broke my heart, while this year it was anger. Georgia has the youngest team in the SEC and should be a favorite to win it all in 2019. Jake Fromm is a serious top-tier leader and greatness awaits guys like him. Watching SEC Inside on the SEC Network last night helped some, because you got to really see the coaches coaching, the top players leading their teammates, guys fighting hard. Yes, the “best” side may have lost that football game, as a team outplayed another then simply scored once less. Post a therapy session, window shopping for a Tesla, then a fun and productive lunch meeting with the Vice President of my book publisher in the inner-perimeter, separate city of Downtown Decatur where I used to live, reading an actual print copy of the newspaper in my home office, in Atlanta proper and circling all my bowl projections, I feel pretty good about where our Bulldogs landed. I love New Year’s Day, and the very last game of the marathon of sport will be in New Orleans. This is great for the program because it is so primetime at 8:45, and only the national championship game will be played in the sport after at all, several days later. Good to sit and stew. Get ready to go get a crystal trophy in 2019. I could go on-and-on about Sugar Bowls past but would rather think about the last meeting between Georgia and Texas. This was the Cotton, played in the Cotton Bowl Stadium itself back before the bowls paired #1 versus #2 often at all. Georgia was without Herschel Walker, the first professional football player lured from college early. He was actually playing for Donald Trump in New Jersey, in the USFL. Those kids who had come to Georgia to play with Herschel were still good without him. That’s parable for success breeding success, in and of itself. Winning is contagious. Losing is contagious, my dad liked to say when he was alive. That’s one major way that history seems to repeat itself, as trends emerge. Interestingly in terms of personal family history, we moved from Marietta, Georgia, to south Louisiana right around that time. I had been up to Athens to sell Bulldogs flags and had told my dad I switched my primary collegiate allegiance from Texas to Georgia – though I still liked both – once Herschel came on the scene in 1980. Born in Austin and from an old Ft. Worth family, my parents went to TCU. We’d lived in Georgia for years, by the time the greatest college football player ever emerged. For their part, the burnt orange of Texas would have won yet another national championship by winning the game and came within a single point of ultimate glory. Talk about aching hearts. The old-timers used to ask what time it was in Texas. The answer was 10 to 9. Expecting a little more offense in raucous old NOLA, with Ol’ Georgia looking to improve its ugly 1-3 mark against the legendary football program from my birth city of Austin. Keep Austin Weird. Actually, just Keep Austin. It’s The ATL for me. Proud to be a Dawg!